Hello,everyone. I hope your week has not been as stressful as mine? Even if it has I hope it’s been productive at the same time? This morning I was thinking to myself, for someone to have a productive week, it means every day of that week has to be productive. For one to have a productive month, it means every week of that month has to be productive. In my opinion, productivity means getting a job or jobs done, meeting goals efficiently, effectively and within schedule. The fact that you’re busy does not mean you’re been productive. If you’re just busy but not meeting your goals effectively and within schedule, you are not being productive. First and foremost, you have to set goals; achievable goals. You will not be able to measure or know how productive you’re if you don’t set goals you want to achieve. At the beginning of each week, at the beginning of each day, month or year write down the goals you want to achieve in that week, month or year. Secondly, avoid distractions. Distractions are anything that takes your focus away from the task at hand. Distractions could take several forms and shapes. A distraction could even be another task or goal that is not the set goal for that time or another task that is not as important as the set goal. Distractions could also be phone calls, social media, reading emails, movies, music, people etc. If you must be a productive person, you have to avoid distractions at all cost. If possible, put off your phone, switch off your mobile data, don’t subscribe to pay TV etc. Whatever you do take practical steps to let go of distractions. Thirdly, set your priorities. In order not to break down when faced with a lot of tasks, prioritise your tasks. Out of all the list of things you want to do each day, week or month there are important tasks and there are MORE important tasks, so in the order of priority and relevance rank each of these tasks and handle them accordingly. In line with the point above, understand the times when you are able to function better and the times when you function less. For example, it could either be in the mornings when you are able to get more work done or at night. If you are a night owl like me, that means you can schedule some tasks to be accomplished at night. Also, recognise the times during the day when you will be less busy and schedule to have tasks completed then. Using myself as an example, since I work in a Federal Government institution, I’m able to get some work done in the mornings when I will be less busy in the office. In the fifth place, you must meet your deadlines. If you get everything on time, you are being productive. Carrying over a scheduled task to the next day or week amounts to procrastination, and Procrastination is the biggest enemy of success. Procrastination begins when you miss a deadline and then everything else snowballs into a giant avalanche of not getting work done. The best way to avoid this is working with a schedule for the day or the week. In addition to this, create a to-do list for each day. If you are able to achieve what’s on your to-do list, that day has been productive. This does not mean that you should be rigid when it comes to your daily activities, but having a plan for each day will set you on the path to productivity. I have realised that you can do so many things, if only you plan. Finally, take some time to rest. There’s a wise Nigerian slang that says, “body no be firewood”, this is so true in the sense that there will come a point when you have to rest the body, don’t overwork it. In fact, I believe that truly productive people are people who are able to achieve a balance in all areas of life. You will not be truly productive if you are not healthy. In setting plans and goals, set a plan also to rest. Eat healthily, sleep well, free your mind etc. Knowing your goals and your abilities. Regularly take a step back to track your wins, your failures, and improve your process for the next tasks/goals. Thank you for reading, now dear readers what are other ways in which we can be more productive? 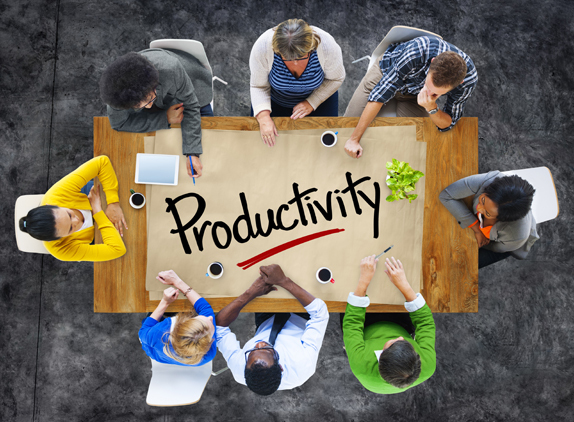 Do you think you’re presently been productive? Let us know in the comments section. I'm glad you find it helpful. Thank you for reading.